At Sport Court making sure the world is a clean place for future generations to play is important to us. We have put in practices at our facilities to assure that we minimize our environmental footprint, while maintaining the quality we are known for. Sport Court was the first sports flooring manufacturer to implement and certify a quality manufacturing process through ISO. 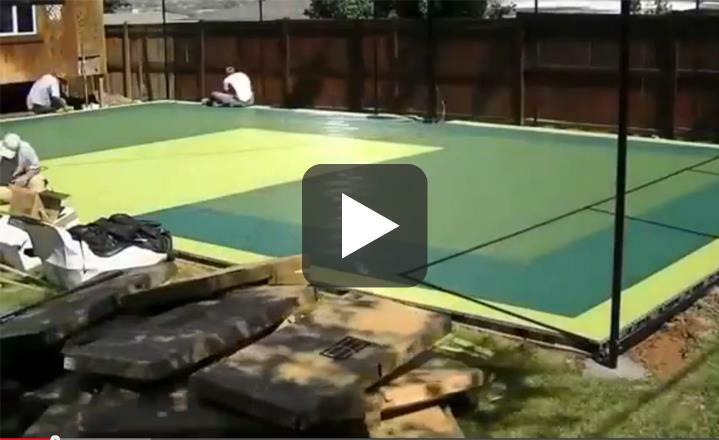 Sport Court has ISO 9001 and ISO 14001 , and are proud to have led the industry as the first ISO 9001:2008 sports flooring manufacturer in the United States. ISO certification is an independently verified quality standard and our processes are audited every year to ensure that we continue to manufacture the highest-quality products on the market. To help reduce our impact even more, we’ve created Sport Base™. A concrete slab replacement to help improve drainage and create an easily removable, recyclable site pad. Sport Base is made from 100% recycled material and was specifically engineered for use under Sport Court sports flooring products.